*If you can't find candy cane melts, just substitute a bag of white chocolate chips and about a ¼ cup crushed peppermint candy canes. 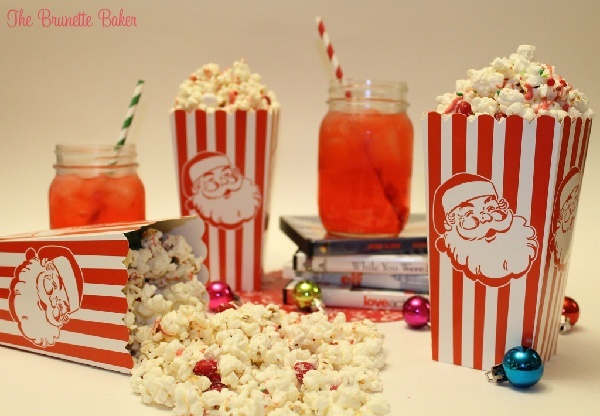 Pop popcorn bags. Pour onto a large, rimmed cookie sheet or in an extra large bowl. Pick out any unpopped kernels. In a microwavable dish, melt the candy melts on in 30 second intervals, stirring each time until melted. Pour over the popcorn and toss. 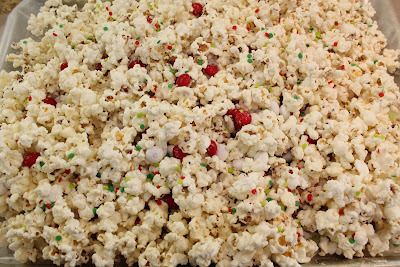 Add M&M's and a handful of Christmas sprinkles. Mix together until evenly coated. Set aside and allow to dry until the candy melts have set. Enjoy. now that is my kind of popcorn!